Okay, so you've got a polished manuscript, a perfected query letter, and you've conquered the dreaded synopsis. 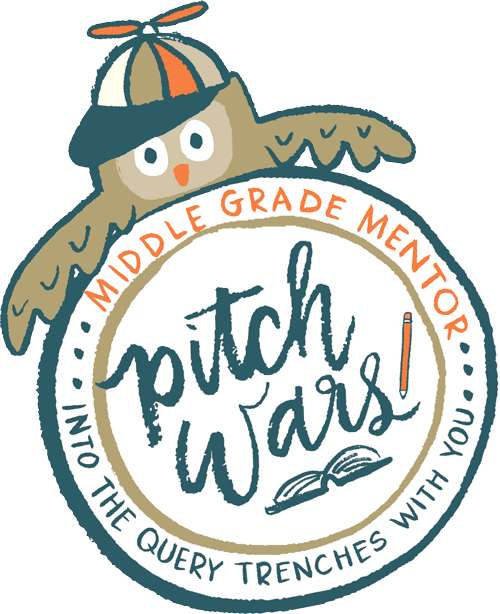 Congratulations, you're ready to enter PitchWars! That queasy pit of nervous excitement in your stomach? Totally normal. Also, voices. The ones that say things like, "Do you really want to do this? Do you really want to bare your writer soul to a group of strangers in the hopes that maybe, just maybe, they'll like your book?" Being a writer is all about putting yourself out there. And if you're serious about becoming a published author, it's unavoidable. It's also hard and scary. But at some point you're going to have to decide that you've done all you can do, your book is finished, and it's time for it to leave the nest. Pitch Wars gives you a great opportunity to let your book test its wings. But what if I'm not chosen? I hate the thought of being disappointed. I get that. I've been on both sides of the Pitch Wars coin: I submitted in 2014 and didn't get in, tried again in 2015 and was chosen as a mentee. I've felt both disappointment and elation on announcement day. But disappointment is something all writers have to deal with, through every stage of the writing journey. If writers weren't willing to risk disappointment, books wouldn't exist. It's totally okay to feel bummed and have a cry and eat the ice cream, just don't stay there. If you're not chosen, take any feedback you receive, apply it to your book, seek out CPs and Beta Readers, and KEEP GOING. Remember, Pitch Wars, and other writing contests, are not the only way to get an agent. Plenty of writers - myself included - get their agents through the slush pile and old-fashioned querying. Not making it into Pitch Wars does not spell the end of your writing career. DON'T GIVE UP. And whether you're chosen as a mentee or not, there's something all you hopefuls gain: An amazing community of fellow writers. The other writers on the #PitchWars feed are amazing! You guys are (hopefully) already connecting, swapping manuscripts, and encouraging one another. That doesn't have to end when the mentor picks go live. Writing is a tough business, every step of the way. Having a solid community of people who know what it's like, who can help you strengthen your writing, and talk you down when you're ready to quit is so important. Keep cultivating those relationships. But what if I AM chosen? What can I expect as a mentee? Hard work. There will likely be late nights, or early mornings, or lunches eaten in front of your laptop. You should be ready and willing to listen to critique and thoughtfully consider your mentor's suggested revisions. Some may resonate with you right away, some you might want to think about for a day or two, some might spark a different "Hey, what if we did THIS?" idea. You may have to kill some darlings and cut a few (or a lot) of words. The days until the agent round will both drag and fly by. And there will also be fun! Twitter chatting and team names and gif wars and taunting and all sorts of shenanigans. If I had to sum it up in two words: Challenging & Awesome. But you can't experience any of it if you don't put yourself out there and jump into the fray! Don't let doubt, insecurity, or fear prevent you from taking the plunge. No matter the outcome, you'll have the chance to grow as a writer, and that my friends, is a win. Hi, Helmut! I don't know if you're still looking or not, but this actually is just a setting in Blogger! Go to settings>posts, sharing, and comments. Then under comments, select "yes" for "show word verification." That's it!